How much do we love this new mid-block crosswalk? Comments Off on How much do we love this new mid-block crosswalk? 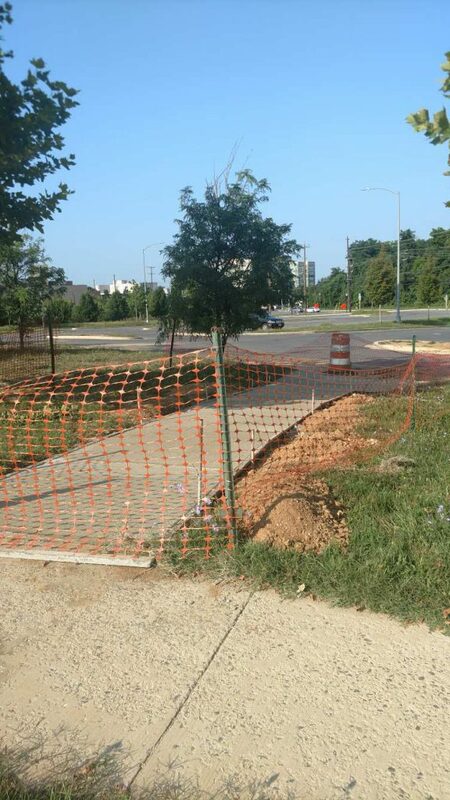 Thank you Montgomery County Department of Transportation for paving this dirt trail by Pike and Rose! 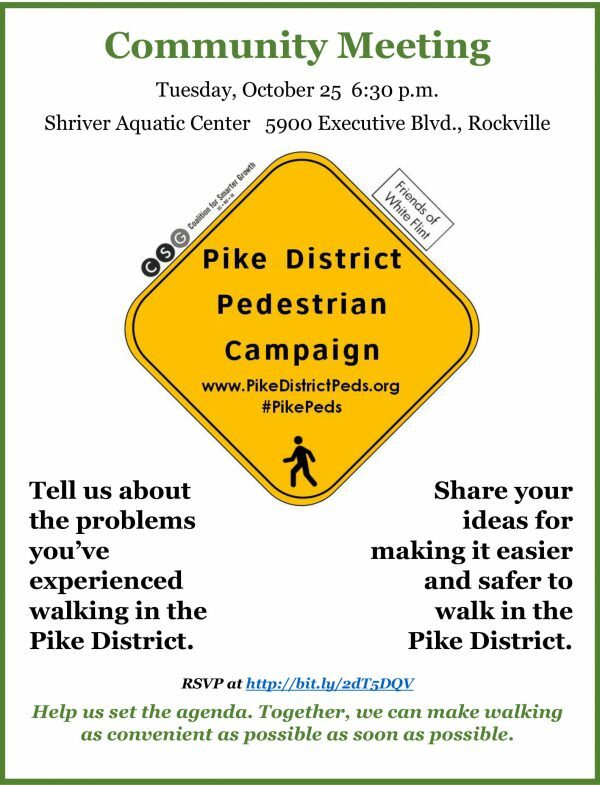 Our Pike District Pedestrian Safety Campaign is getting results because advocacy works…and because the White Flint area truly wants walking in our community to be safe and convenient. 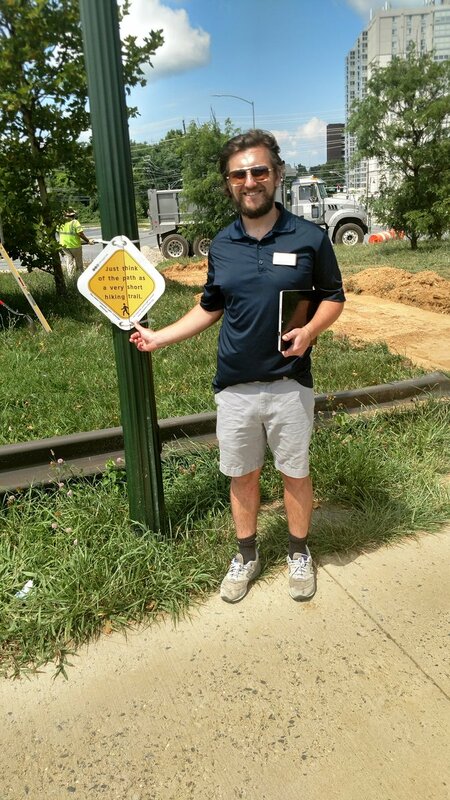 Fifty people attended our first Walkable Wednesday, and we hope you will be part of our second informative and entertaining Walkable Wednesday on July 12 at noon. Join Friends of White Flint and the Coalition for Smarter Growth to learn what makes a community walkable and what we can do to make sure the White Flint area is as walkable as possible as quickly as possible. Wouldn’t these artsy crosswalks be perfect for the Pike District? Exciting Pedestrian Safety Campaign Launched! Last night, volunteers from Coalition for Smarter Growth and Friends of White Flint (along with your intrepid FoWF executive director) launched the exciting Pike District Pedestrian Safety Campaign by hanging dozens of signs with safety tips and ways to get involved all around the Pike District.